What life is like Teaching in the Middle East! 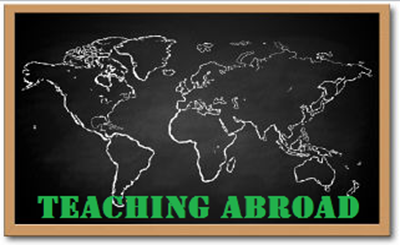 Chase Resourcing have been placing teaching in the Middle East for nearly 10 years! We work for various schools throughout the Middle East including United Arab Emirates, Saudi Arabia, Oman, Bahrain and Qatar! Very interesting article about Teaching in the Middle East taken from Irish times newspaper written by Róisín Traynor! Students are put under extreme pressure by parents to get prestigious jobs, which can conflict with the career ambitions of the student themselves. Even if the student is not capable, however, the scary truth is if they want to be a doctor, or a lawyer, or a policeman, it’s possible no matter their grades – because of “wasta”. “Wasta” is an Arabic word for connections; it is all about “who you know” here. It refers to using one’s connections and/or influence to get things done, including government transactions such as the quick renewal of a passport, and getting hired for or promoted in a job. It even goes as far as bending the law. This can be difficult to accept and contradicts the value of education. It’s hard to motivate students to work hard when “families are able to ‘pay off’ the system to still allow their child to pass the grade level”, as one respondent inAbu Dhabi put it. There is a lot of work being done at the embassy in United Arab Emirates to help Irish teachers and represent the whole Gulf area. Recently I was lucky to meet Pat Hennessey, the Irish Ambassador to the UAE who also looks after Qatar and Kuwait, who stressed the embassy in Abu Dhabi is ready to help any Irish national in these countries. He will be hosting a get-together in September for the Irish in Kuwait, particularly for the new teachers to help them settle in, and deal with culture shock or any visa issues. So, would we recommend the Middle East to other Irish teachers? Yes! But any teacher who comes here needs to be prepared for challenges, and be accepting of the fact that the region is very different to Ireland.Teaching in the Middle East is a great experience!